Here it is y’all. 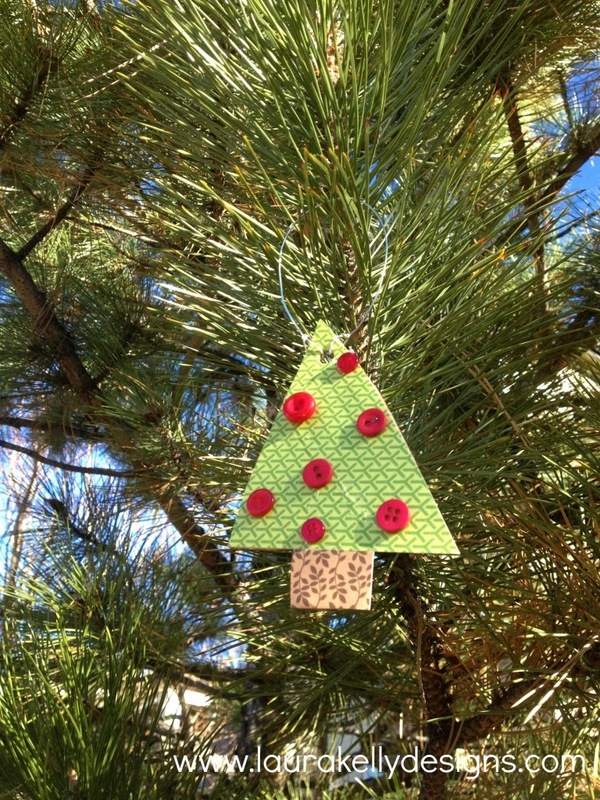 More quick and easy holiday crafts with day 3 of Craft Lightning. 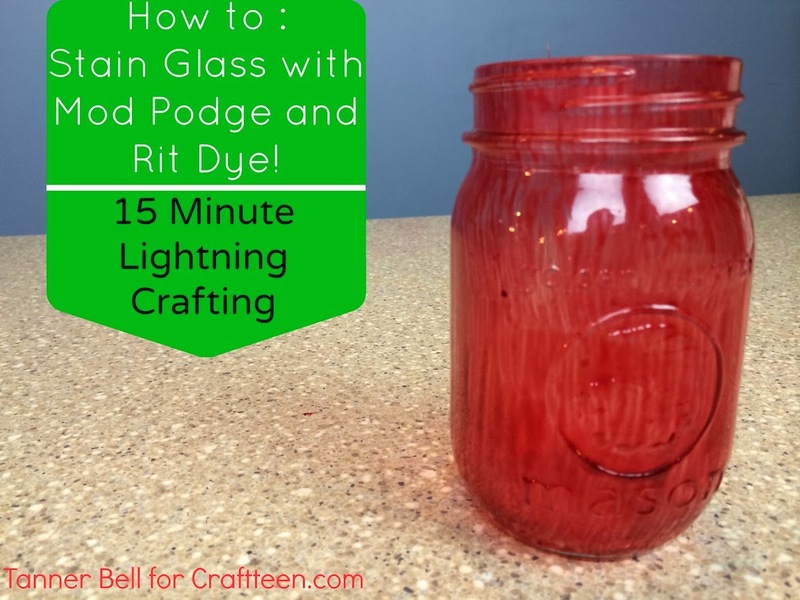 You have two more days to link up your holiday crafts that take 15 minutes or less to complete at our Craft Lightning linky party. Also if you missed them, be sure to check out the features from day 1, day 2, day 4, and day 5. For now, check out all of the amazing projects from our partner blogs today. 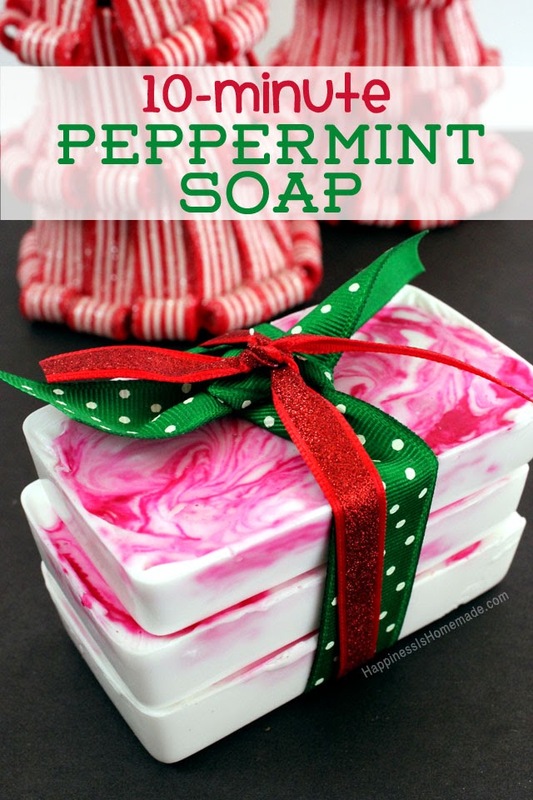 These 10 minute peppermint soaps from Happiness is Homemade are brilliant. What a great gift to give this holiday season. You might even package these in a mason jar…or I would. 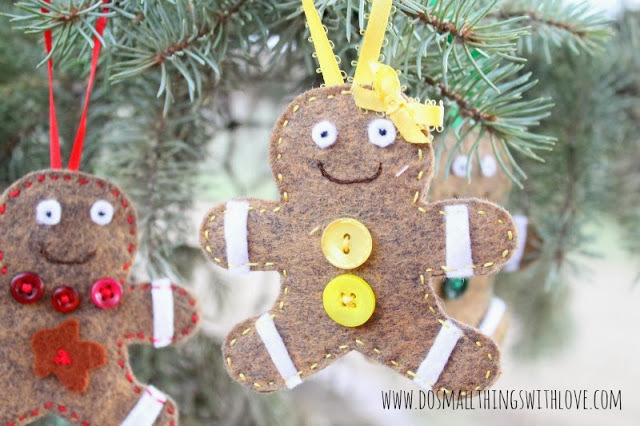 You can make these adorable felt gingerbread ornaments from Do Small Things with Love in just minutes. My personal fave is the guy with the green tie. What about you? 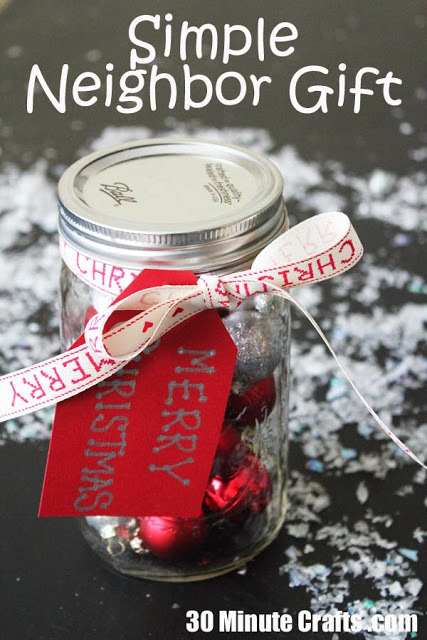 Make these fabulous red mason jars for your holiday decor. Check out the video tutorial on staining glass with Mod Podge and Rit Dye from Craft Teen. Boy that red color is amazing! 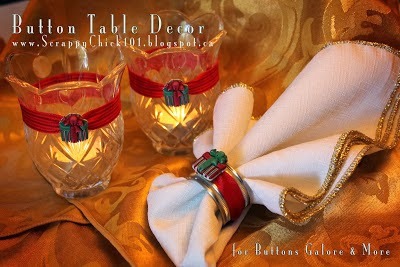 Add some buttons to your table decor with these ideas from Scrappy Chick 101. I love those little Christmas buttons! Speaking of buttons…take a cue from Laura Kelly and make these fun button Christmas tree ornaments. This is a great idea for making with the kiddos as well. We might as well give you one more button project today. This button snowman ornament from One Artsy Mama will be the star of your tree. Loving the colors in this one…it is fit for a princess. 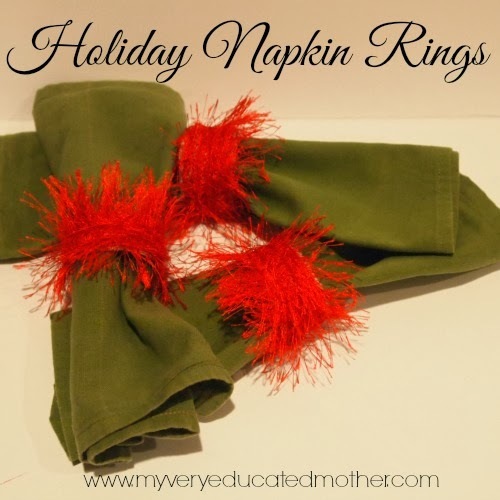 Break out your yarn and make some holiday napkin rings like these from My Very Educated Mother. My favorite are those red fuzzy yarn ones. What about you? Malia does it again with the cute frame crafts. 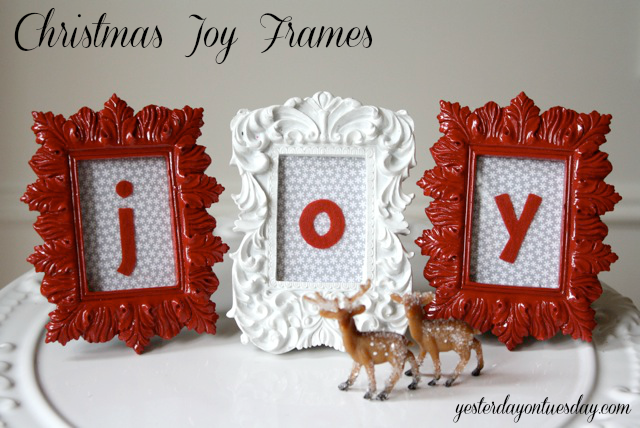 Her Christmas joy frames are just adorable. I just have to get some of those fancy frames for my own home. Our linky party feature for today is this fun idea for utensil holders from Club Chica Circle. 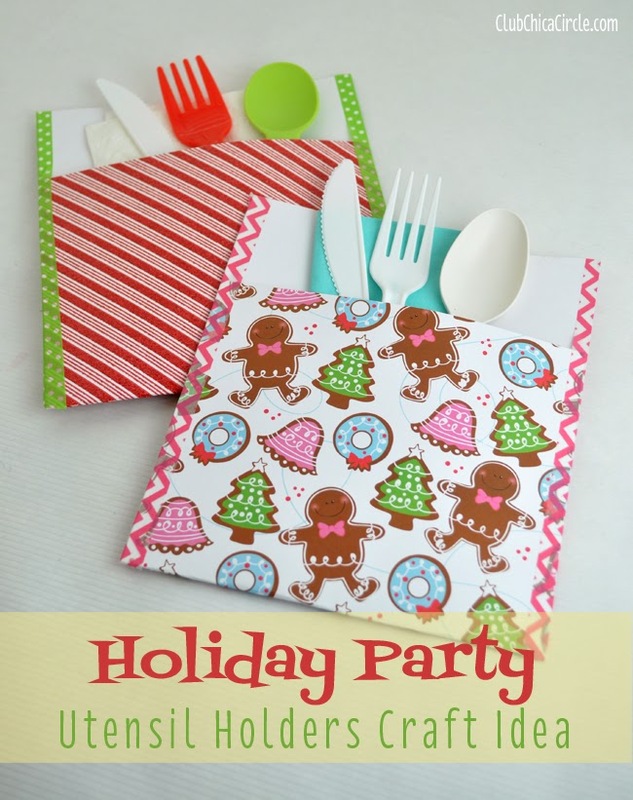 Just use paper and washi tape to make these for any occasion. The post has a ton of ideas for every occasion of the year. My partner for this series, Carolina from 30 Minute Crafts, is showing you how to make this simple neighbor gift in a jar on her blog today. Mason jars for the win! 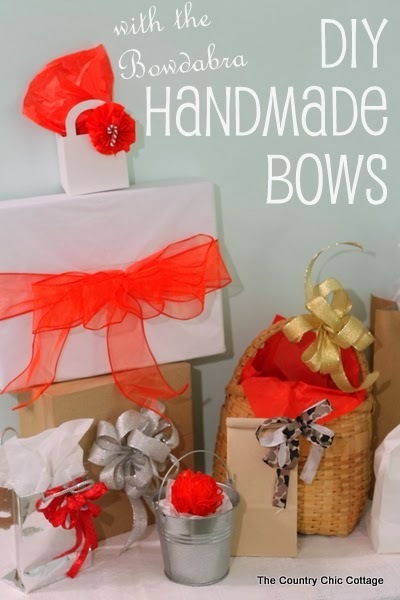 And just in case you missed it, I am sharing a fun way to make DIY handmade bows in a video. You really don’t want to miss this southern accent…really…head over and watch! Y’all stay tuned we have 2 more days of fun headed your way with even more quick and easy holiday crafts.